My last post introduced the Expedition Class’s latest project. The key man during the journey was Andrew Hughes and now his trek is complete. The first newspaper coverage of this story was published in The Mercury last May. The Mercury published another story recently ‘Warm welcome for adventurer Andrew Hughes as he paddles into GASP‘. His journey started north east of Lake St Clair in central Tasmania and now Andrew has crossed an imaginary finish line between the Iron Pot on the eastern side of the Derwent River and Tinderbox on the western side and this conclusion has been covered again in The Mercury. If you go to the web, you can read the mini ‘Live Reports’ of the 28 sections of his journey. You can peruse a collection of photos for each section. The information in the reports is limited and no information is offered with the photographs. 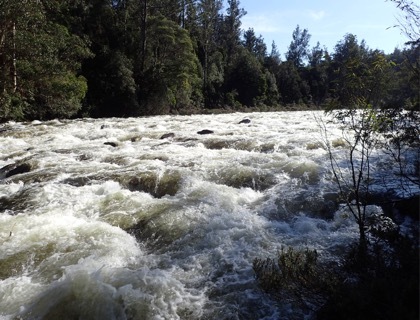 Unless you have travelled the edge of or on the Derwent River, it would be difficult if not impossible to identify locations. A comparison of some of Andrew’s photos with those I took during my walk from the mouth to the source of the Derwent River, makes for interesting viewing. 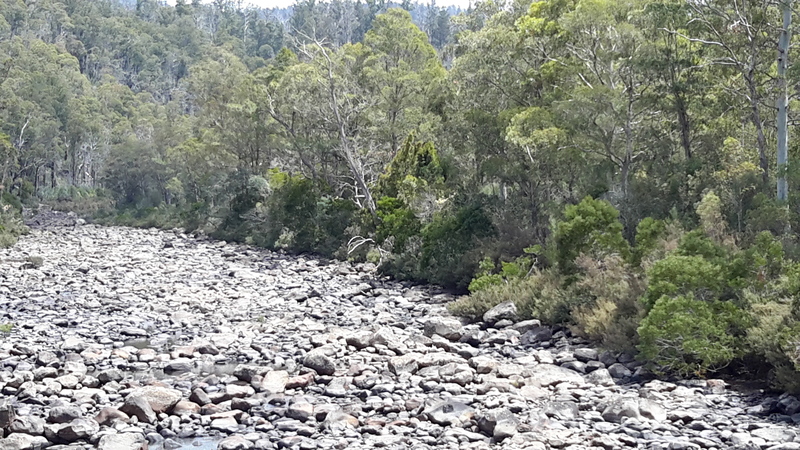 Firstly I would like to compare the rush of water over the river rocks between Wayatinah and Butlers Gorge that Andrew saw compared to the low almost absent water level that I experienced on two occasions. 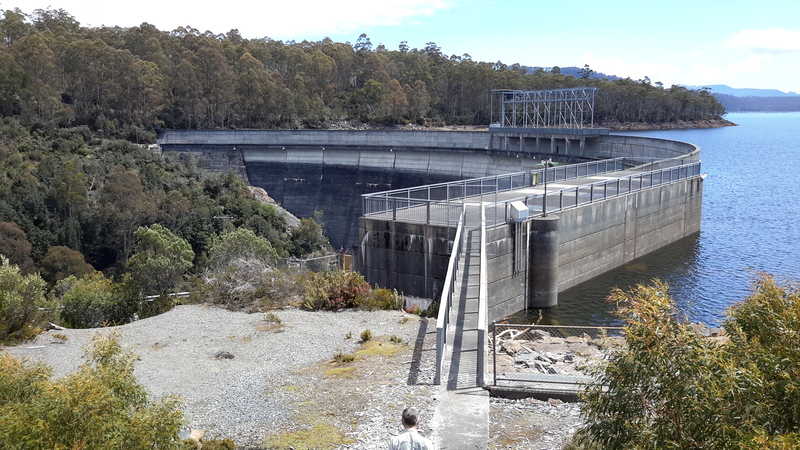 Since I completed my walks along the Derwent earlier this year, Tasmania has been inundated with unexpected high levels of rain which have raised the water levels in the dams and the Derwent River. The photo below was taken by me in October 2015. The photo below is by Andrew as shown in his Live Report 18. My photo below shows the water level of the huge 15 kilometre Lake King William was so much lower in October 2015. 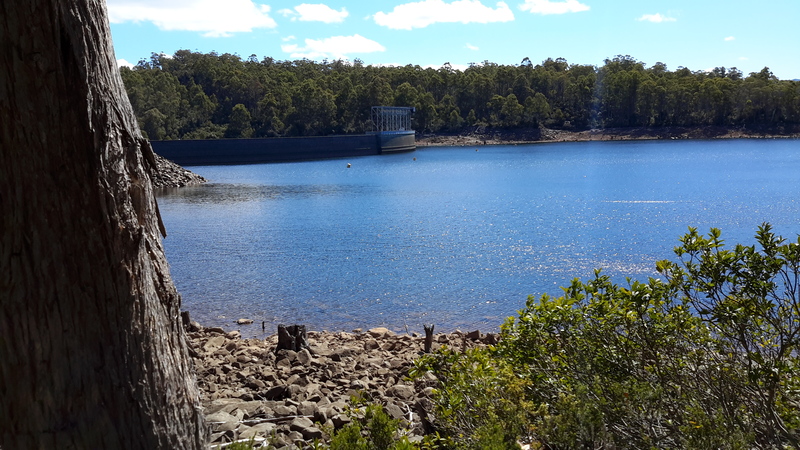 My photo taken only 2 ½ months later at the beginning of January this year, showed the water level had dropped dramatically so that the Tasmanian government was considerably worried about our electricity generation options. In Live Report 15 Andrew shows the Lake King William water backed up to Clark Dam at Butlers Gorge. 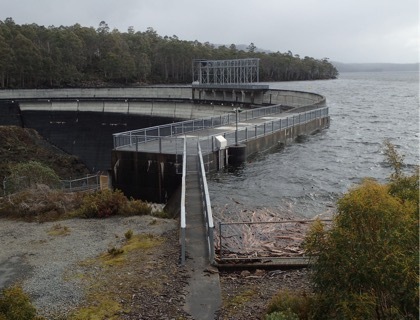 Tasmania is no longer worrying about our water storage facilities and power generation. Again we have enough water to create clean electricity. These photos are wonderful reminders of the unpredictability and power of nature. 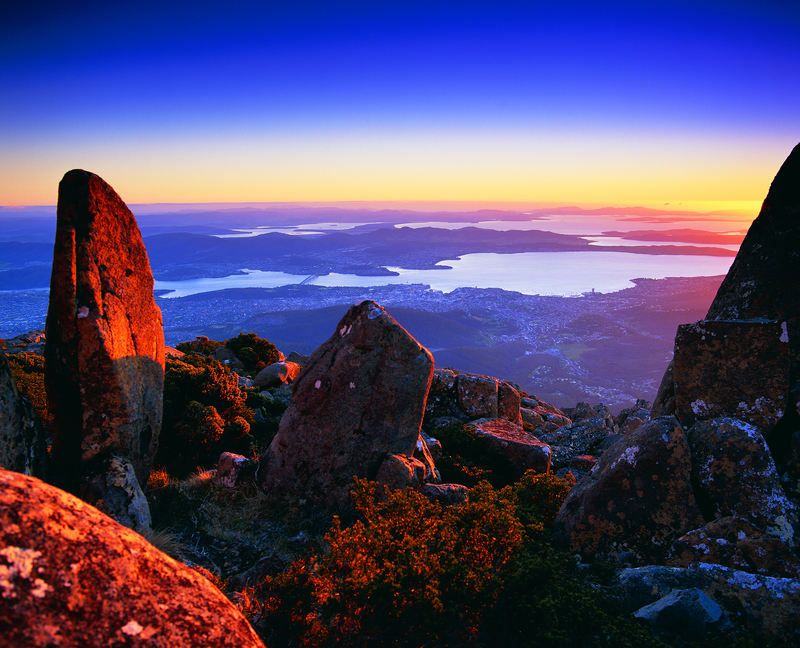 Andrew’s reports and photos are an excellent example of people getting out into our Tasmanian wilderness and experiencing it’s challenges and wonders. I hope his trek inspires others not necessarily to cover the same territory, but to find new country to discover and enjoy. To be refreshed by the purity of the bush. 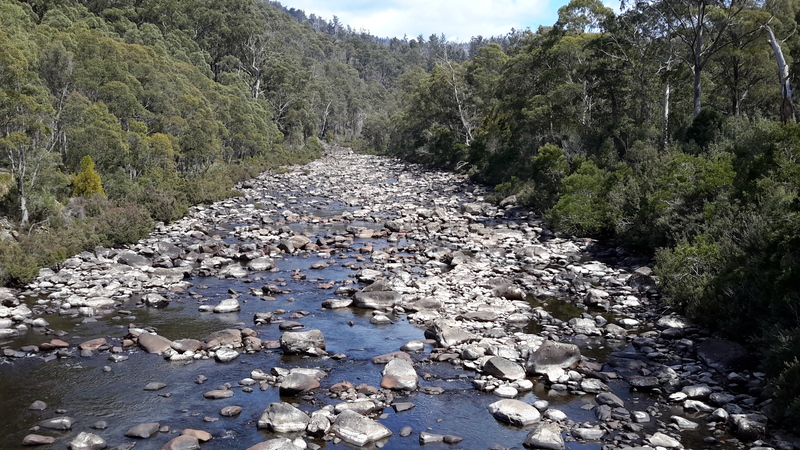 This entry was posted in Derwent River, Tasmania and tagged Andrew Hughes, Butlers Gorge, Clark Dam, Derwent River, Expedition Class, Iron Pot, Lake King William, Lake St Clair, The Mercury, Tinderbox, Wayatinah on August 29, 2016 by Tasmanian traveller.